Black holes have been an endless source of fascination ever since Einstein’s Theory of General Relativity predicted their existence. In the past 100 years, the study of black holes has advanced considerably, but the awe and mystery of these objects remains. 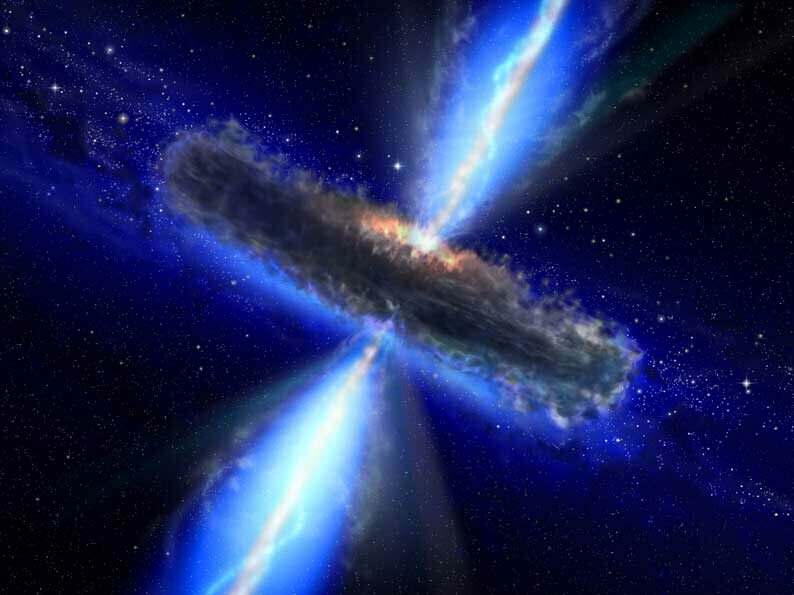 For instance, scientists have noted that in some cases, black holes have massive jets of charged particles emanating from them that extend for millions of light years. These “relativistic jets” – so-named because they propel charged particles at a fraction of the speed of light – have puzzled astronomers for years. But thanks to a recent study conducted by an international team of researchers, new insight has been gained into these jets. Consistent with General Relativity, the researchers showed that these jets gradually precess (i.e. change direction) as a result of space-time being dragged into the rotation of the black hole. 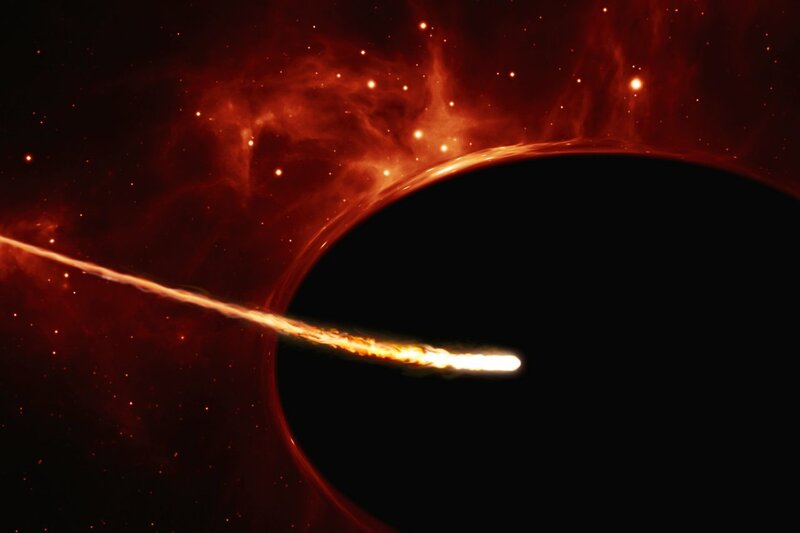 Their study, titled “Formation of Precessing Jets by Tilted Black Hole Discs in 3D General Relativistic MHD Simulations“, recently appeared in the Monthly Notices of the Royal Astronomical Society. The team consisted of members from the Anton Pannekoek Institute for Astronomy at the University of Amsterdam and a professor from the Center for Interdisciplinary Exploration and Research in Astrophysics (CIERA) at Northwestern University. For the sake of their study, the team conducted simulations using the Blue Waters supercomputer at the University of Illinois. The simulations they conducted were the first ever to model the behavior of relativistic jets coming from Supermassive Black Holes (SMBHs). With close to a billion computational cells, it was also the highest-resolution simulation of an accreting black hole ever achieved. Much like all Supermassive Black Holes, rapidly spinning SMBHs regularly engulf (aka. accrete) matter. 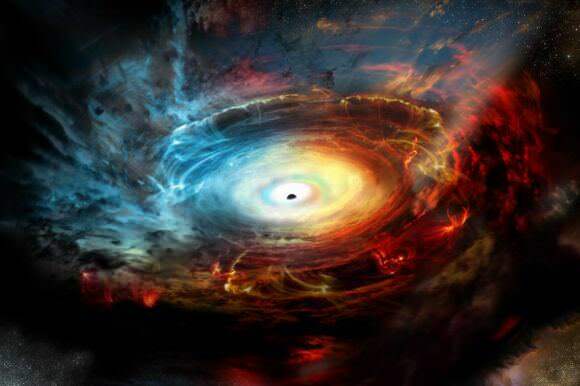 However, rapidly spinning black holes are also known for the way they emit energy in the form of relativistic jets. 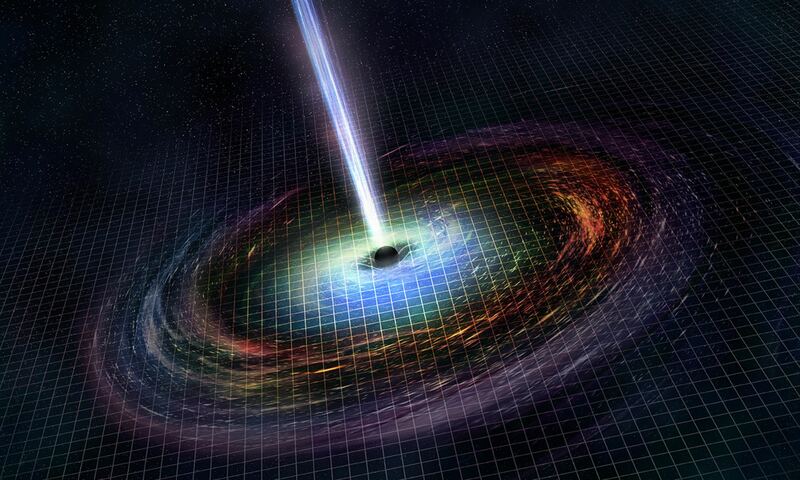 The matter that feeds these black holes forms a rotating disk around them – aka. an accretion disk – which is characterized by hot, energized gas and magnetic field lines. It is the presence of these field lines that allows black holes to propel energy in the form of these jets. Because these jets are so large, they are easier to study than the black holes themselves. In so doing, astronomers are able to understand how quickly the direction of these jets change, which reveals things about the rotation of the black holes themselves – such as the orientation and size of their rotating disks. Advanced computer simulations are necessary when it comes to the study of black holes, largely because they are not observable in visible light and are typically very far away. For instance, the closest SMBH to Earth is Sagittarius A*, which is located about 26,000 light-years away at the center of our galaxy. As such, simulations are the only way to determine how a highly complex system like a black hole operates. In previous simulations, scientists operated under the assumption that black hole disks were aligned. However, most SMBHs have been found to have tilted disks – i.e. the disks rotate around a separate axis than the black hole itself. This study was therefore seminal in that it showed how disks can change direction relative to their black hole, leading to precessing jets that periodically change their direction. 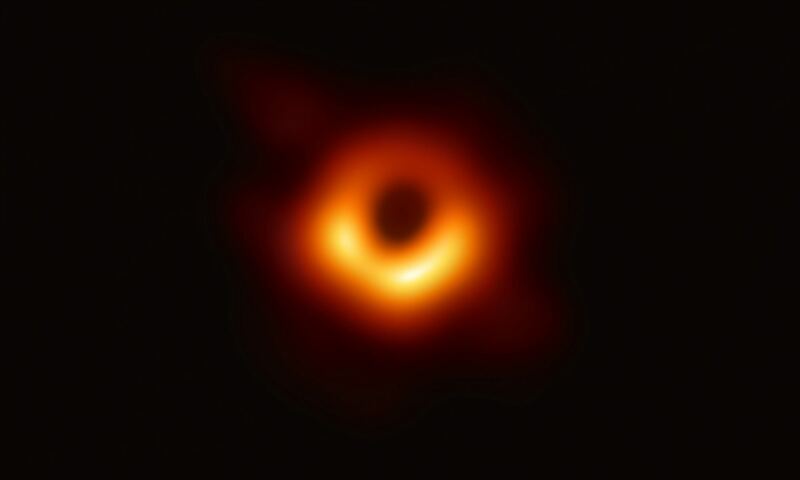 This was previously unknown because of the incredibly amount of computing power that is needed to construct 3-D simulations of the region surrounding a rapidly spinning black hole. With the support of a National Science Foundation (NSF) grant, the team was able to achieve this by using the Blue Waters, one of the largest supercomputers in the world. The precession of relativistic jets could explain why light fluctuations have been observed coming from around black holes in the past – which are known as quasi-periodic oscillations (QPOs). These beams, which were first discovered by Michiel van der Klis (one of the co-authors on the study), operate in much the same way as a quasar’s beams, which appear to have a strobing effect. 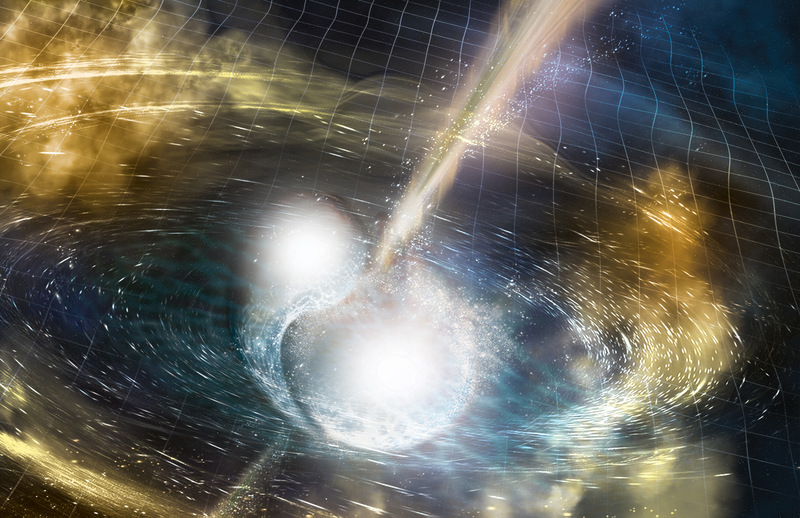 This study is one of many that is being conducting on rotating black holes around the world, the purpose of which is to gain a better understanding about recent discoveries like gravitational waves, which are caused by the merger of black holes. 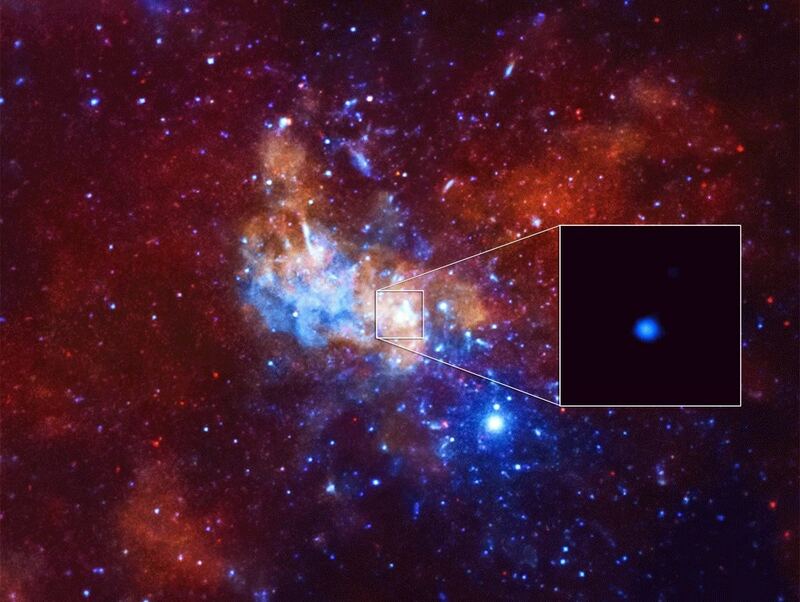 These studies are also being applied to observations from the Event Horizon Telescope, which captured the first images of Sagittarius A*’s shadow. 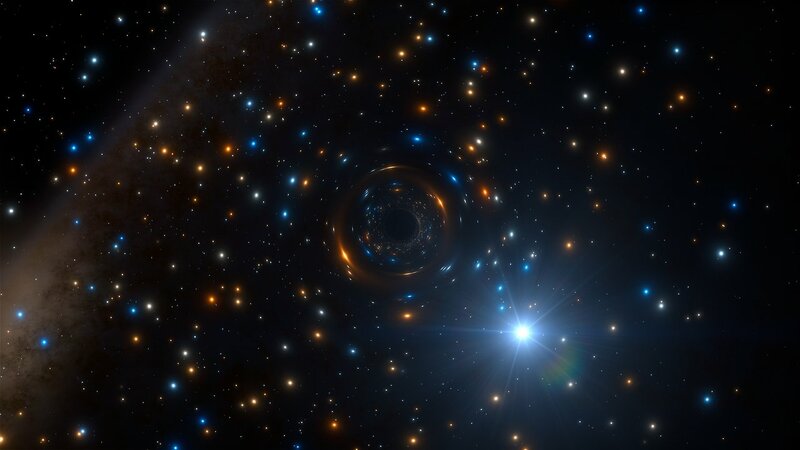 What they will reveal is sure to excite and amaze, and potentially deepen the mystery of black holes. In the past century, the study of black holes has advanced considerably – from the purely theoretical, to indirect studies of the effects they have on surrounding matter, to the study of gravitational waves themselves. Perhaps one day, we might actually be able to study them directly or (if it’s not too much to hope for) peer directly inside them!